I didn't know if I was going to be able to fit Stalking Jack the Ripper by Kerri Maniscalco into my Halloween Reads Week, but thankfully I was able to, and I'm so glad to finally read the book! This book had the perfect amount of creepy, just what I look for in my Halloween Reads! The main character in the story, Audrey Rose Wadsworth, is really awesome. She was born into a life of money and privilege, but she'd give it all up in a second to practice forensic medicine, which she just happens to be awesome at. I can't imagine being a woman during this time period, because I would totally rage at all the men for thinking that women are weak and can't handle all the things that Audrey totally handled. I was completely fascinated by the time period and setting for the story. I love books during this period. The author did a really great job with the descriptions in the book. I could picture everything perfectly in my mind, even some of the forensic things that had me squirming just a bit. Ha! But, Audrey Rose was awesome, and handled it like the professional that she wants so badly to be. I always envy people that can do this, as I certainly cannot. 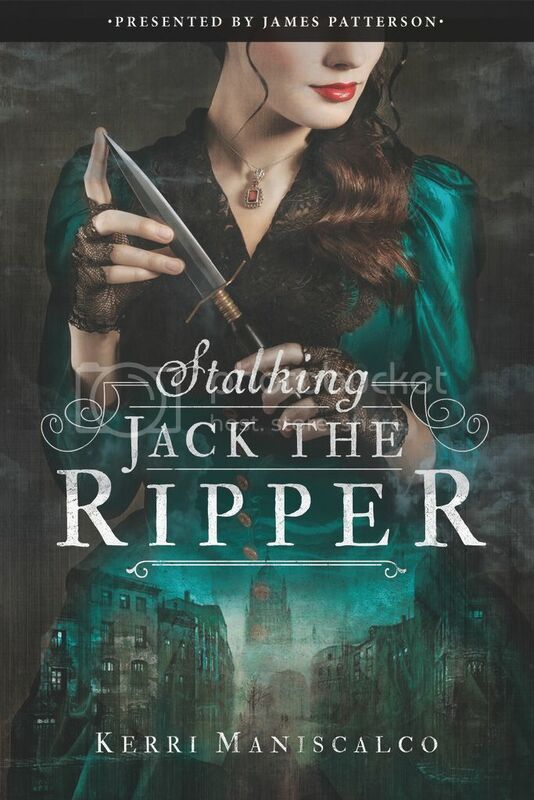 Overall; Stalking Jack the Ripper was a great addition to my Halloween Reads week! I really can't wait for the sequels to see what Miss Audrey Rose is up to next!